The modern digital age has made the collection, transmission, retention and dissemination of information easier in many ways. EHR malpractice is a type of medical malpractice that occurs when patients’ medical data is lost or altered, impacting their care. Here’s what you should know about EHR malpractice. While hospitals and medical facilities have been modernizing their computer systems and switching to electronic health records (EHRs), these facilities and the professionals who run them have been incentivized by the government to adopt more modern computing and data maintenance systems through legislation like the Affordable Care Act (which provides some incentives while also penalizing them if they don’t comply by reducing their Medicaid reimbursements). All of this has meant that far more hospitals and other medical facilities are updating their technology and that, along the way, there has been computer glitches or system failures that have impacted EHRs and, in doing so, have affected patient’s care and health. In particular, the electronic problems that may have been caused by anything from user error to flawed system designs have led to the deletion (or alteration) of important patient health information; in turn, this has led to patients not getting the appropriate treatments, sometimes being exposed to unsafe medications (based on their medical histories) and, in the worst cases, suffering serious – if not life-threatening – complications. This has generated a new special type of medical malpractice that some have deemed electronic health record malpractice – or EHR malpractice, and it’s expected to increase substantially in the coming years as more hospitals and health care facilities in the U.S. attempt to modernize their computing and record keeping systems. Taking a closer look at this type of medical malpractice, in this blog series, we’ll point out some of the causes of EHR malpractice, as well as who may be liable for it. If you or someone you love has been hurt by any type of medical negligence or malpractice, don’t hesitate to contact the experienced Portland malpractice attorneys at the Savage Law Firm. We can help you with your financial recovery. Autofill or autocorrect features, which can alter the entries being typed in, potentially changing numbers, medication names, etc. These features can lead from anything like dosage problems to missing information about patients’ allergies. Software compatibility problems, which arise when doctors’ offices and hospitals attempt to share records via different and potentially incompatible systems. When there are compatibility issues between medical facilities’ software programs, important details about patients’ medical histories can get lost and/or mistranslated. System upgrade losses, which can happen when regular system updates and upgrades are made. Again, this type of technical issue can lead to lost or altered patient data. Crashes, which can also occur for various reasons – and when they do, they can lead to patients’ medical information being unavailable and/or lost. 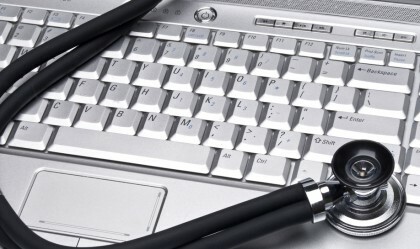 Did you know that data entry errors can lead to EHR malpractice? Here’s how. Contact us for help with your financial recovery if you’ve been hurt by any type of medical malpractice. 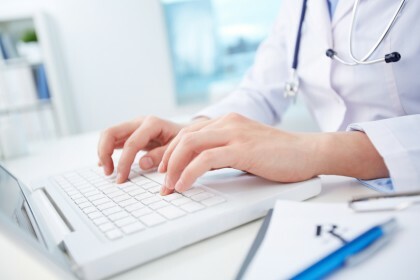 Data entry mistakes – Electronic health records usually start out as handwritten notes that someone has to type into a computer/record keeping system. Inevitably, this type of process can lead to typos and data entry mistakes. Because it’s not uncommon for these EHRs, once typed, to be copied/pasted across various platforms (instead of re-typing the medical history portion), it’s possible for these mistakes to persist for a while before they’re caught and fixed. Mis-clicking options – As EHRs are created and updated, there are places where options have to be selected/buttons have to be clicked. When people are in a hurry or they simply aren’t paying close attention when clicking on options in these records, critical mistakes can be made. Failure to update EHRs – EHRs, once created, will have to be periodically updated, as medical professionals administer care, patients’ conditions evolve, etc. When these updates are not entered into computer systems in a timely fashion, people can forget to do it altogether, forget important pieces of the original info to be added to the EHR, etc. Here, it’s also important to point out that, in some cases, medical professionals may intentionally delete information from EHRs, possibly in an attempt to avoid lawsuits/liability. When this may be a possibility, computer forensic experts can help investigate the matter. While EHR malpractice is expected to increase in the coming years, it may be curbed by certain regulations. Here’s how. Contact us for the best malpractice representation. Data breaches and shared login info can also lead to EHR malpractice – While we’ve previously noted that factors like technical design problems and user errors can contribute to EHR malpractice, it’s also crucial to note that that issues like security breaches and medical professionals sharing their login info can lead to the deletion or changing of patients’ medical records and, consequently, EHR malpractice. Assessing liability in EHR malpractice malpractices cases can be complicated – Depending on the cause of the EHR malpractice, as well as the type of computing/record keeping systems health care facilities have, these facilities may shoulder the lion’s share of responsibility/liability in these types of medical malpractice cases. In some situations, however, hospitals may point to their IT providers when liability arises, and this can complicate EHR malpractice cases. Some are calling for regulations for EHR systems – With the emergence of EHR systems, there has been little in the way of regulations to try to standardize these systems, the methods and requirements for training people to use these systems, etc. Some now are calling for such official standards to be put in place, as this could be pivotal to reducing problems with patients’ data and, in turn, minimizing the chances that EHR malpractice will occur. Just what agency or organization would be the authority appropriate for instituting – and enforcing – such regulations, however, is still unclear. Have you been hurt as a result of EHR malpractice or any type of medical negligence? If so, you can rely on the Portland medical malpractice attorneys at the Savage Law Firm for experienced help and aggressive legal advocacy.